Stocks drifted to a mixed finish on Wall Street as falling oil prices tugged energy stocks lower. Small-company stocks rose. The S&P 500 edged lower Friday, ending a five-day winning streak but still ending with its third straight weekly gain. That followed a brutal stretch in December marked by many large moves, mostly down. Energy stocks fell as the price of oil turned lower after nine straight days of gains. Activision Blizzard plunged 9 percent after announcing that its partnership with video game developer Bungie was ending. The S&P 500 slipped less than 1 point to 2,596. 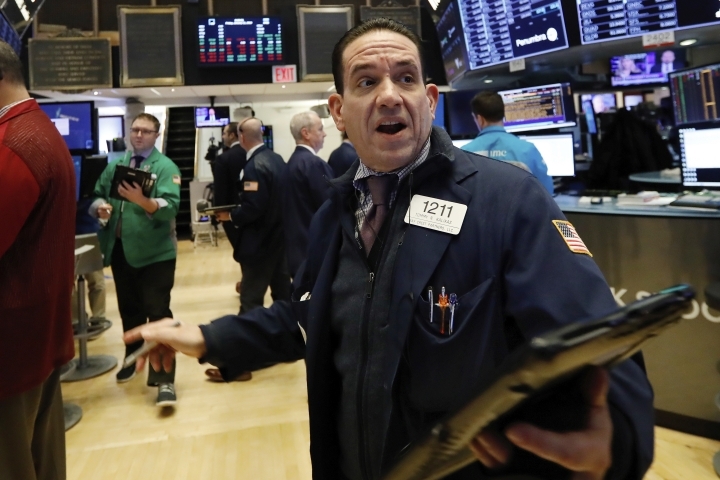 The Dow Jones Industrial Average slipped 5 points to 23,995. The Nasdaq fell 14 points, or 0.2 percent, to 6,971. Bond prices rose. The yield on the 10-year Treasury fell to 2.70 percent. Stocks are moving slightly lower on Wall Street, with energy companies taking losses as the price of oil turns lower. Crude oil fell Friday after rising for nine days straight. ConocoPhillips lost 2.4 percent. The declines threatened to end a five-day winning streak for the market, its longest since September. Activision Blizzard plunged 9 percent, the most in the S&P 500, after announcing that its eight-year partnership with game developer Bungie was ending. The companies' most successful collaboration was its Destiny series. The S&P 500 fell 5 points, or 0.2 percent, to 2,591. The Dow Jones Industrial Average lost 56 points, or 0.2 percent, to 23,944. The Nasdaq gave up 26 points, or 0.4 percent, to 6,960.